Thanks to your feedback, Swimia has turn out to be in just several months one the most crucial internet sites of swimming pools. Here you have all of the info we know about Polideportivo-Municipal las Gaunas, in Logroño. 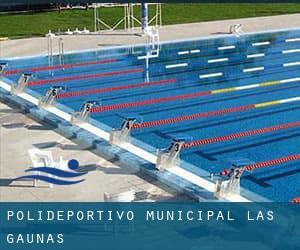 Don't neglect you can also promote this pool so Polideportivo-Municipal las Gaunas will appear the very first of Logroño, or perhaps the first of your country, make contact with us to know alot more. Swimmers like you reported 25 meters x 12.5 meters, 5 lanes, Indoors. Phone number and e-mail address are number for this Swimming Pool. Updated on 2019 LABRADORES,14 - BAJO 26005 - LOGROÑO (LA RIOJA) , . Updated on 2019 RUAVIEJA, 1- BAJO 26001 - LOGROÑO (LA RIOJA) , . Updated on 2019 MARTINEZ ZAPORTA, 16 26001 - LOGROÑO (LA RIOJA) , . Updated on 2019 MILICIAS, 11 26003 - LOGROÑO (LA RIOJA) , . Paseo del Prior, 10 , Logrono , Spain (Postal Code: 26004). This sports center offers 25 meters x 18 meters, 8 lanes, Indoors. Contact information for this Swimming Pool such as phone number and email address are number. Calle de las Piscinas s/n , Logrono , Spain (Postal Code: 26009). Swimmers like you reported 25 meters, 6 lanes, Indoor/Outdoor. Unfortunately we do not have the email address of this Swimming Pool, but we can give you the phone number.